Trusting God can be tough. When you experience hardship in life, it’s easy to wonder how to trust God. Yes, you know God is good all the time. But, when He doesn’t intervene the way you would like, trust is put to the test. Sometimes, we think we are trusting God when we are actually relying on ourselves. 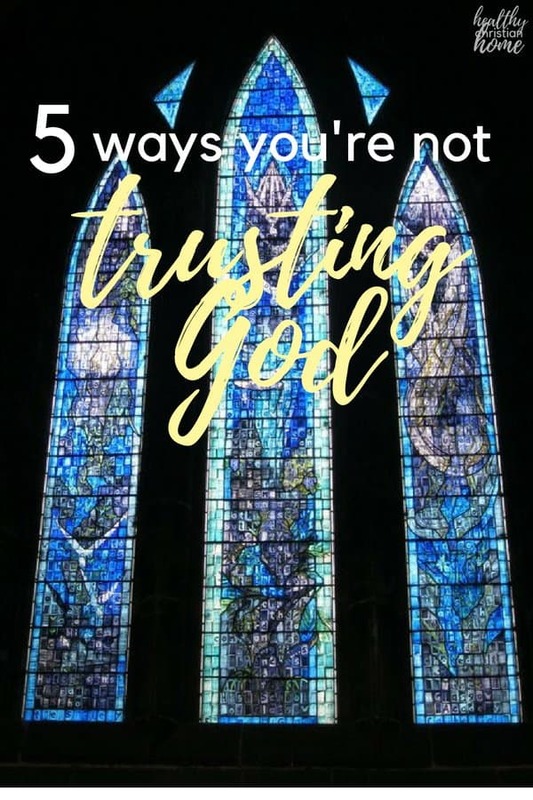 Let’s look at five ways we as humans try to trust God in our lives… but come up short. Then, we’ll look at some solutions to these pitfalls. What happens when you’re doing everything within your own power to make something happen and it’s still not happening? You’re sending out resumes, going to interviews, leaving no stone unturned… but still no job. You’re taking care of yourself, eating real food, exercising, giving your stress to God… but your health problems persist. You’re praying and doing everything you can to reach out to that person you love… but they’re still as cold as ice. 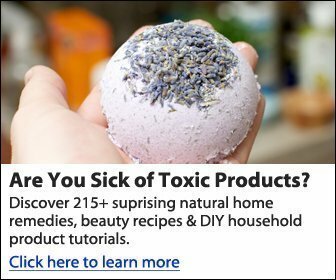 What happens when you do everything you can do and yet… nothing’s working? God has been teaching me this lesson lately. Just when you think you’ve got things under control in life, well… you realize you don’t. And maybe that’s exactly the point. Maybe realizing there’s nothing we can do is exactly where we need to be. 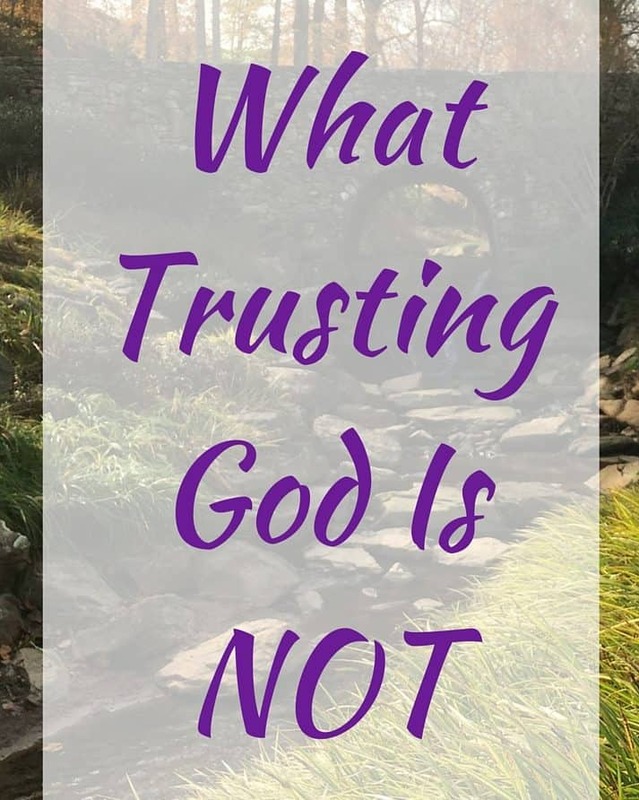 What is trusting God, really? Can you bless and worship the Lord right where you are, today? Despite the sickness, the pain, the worries, the bad circumstances? 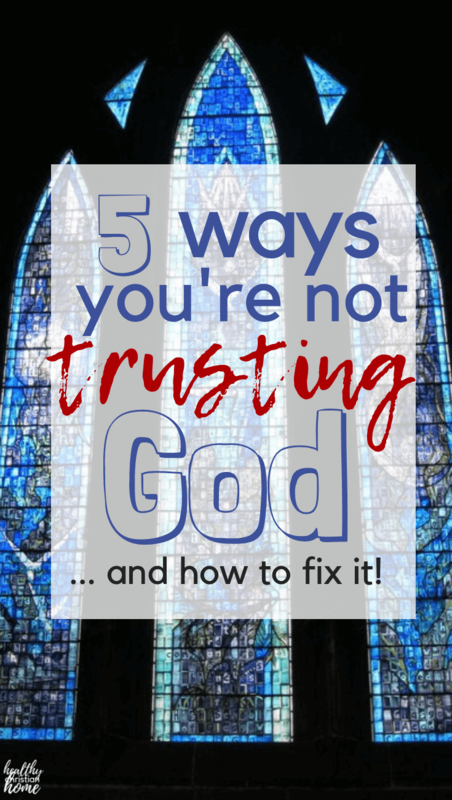 Let’s look at a few ways that we, in our human frailty, try to trust God – but come up short. We’ll also look at how to remedy this. This is understandable. Nobody wants to hurt. It’s our nature to want to feel happy, be healthy, and have all our needs met. Do you really love God – or do you love His stuff? In other words, do you desire the blessings He can give you more than God himself? You may be thinking, “That’s true, but how do I cultivate a greater love for God?” While we may not have all the answers, it starts with a relationship. ⇒ The remedy: Spend time with God, just to get to know Him better. Try to have no ulterior motives. Pray and study – not to find the answers for your problem, but to discover more about your Creator. This is where joy resides. Do you want to grow a deeper, more genuine faith? 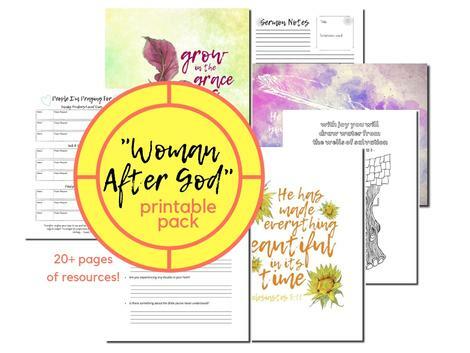 If so, I know you’ll benefit from the “Woman After God” printable pack. It is the perfect resource for any woman who is chasing God. 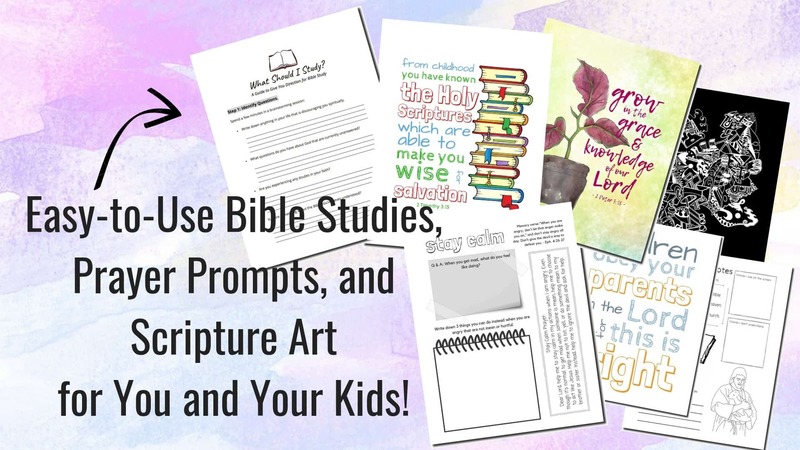 With 20+ pages of resources, you’ll learn to study the Bible effectively, answer deep burning spiritual questions, dive deep into the realm of prayer, and be encouraged with inspirational Scripture art. Guys, this can happen without us even realizing it sometimes. After all, 2 + 2 = 4. If I do all the right things, surely the desired outcome will follow. Maybe you didn’t intend to rely on your own strength. I get it. 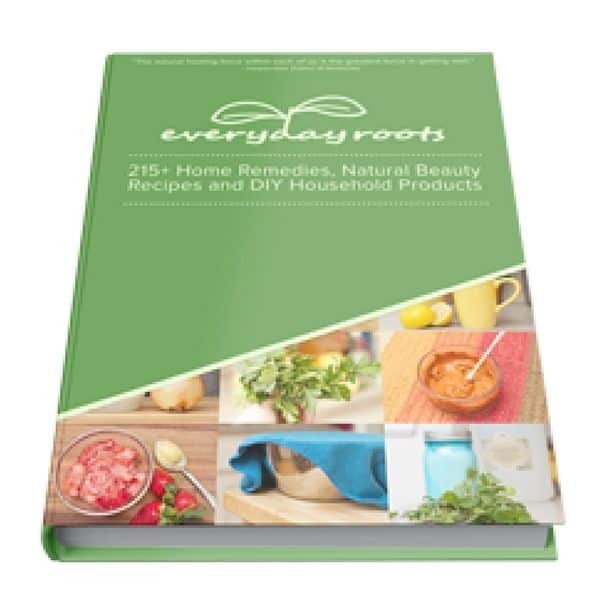 It’s human nature to try to fix whatever problems arise. 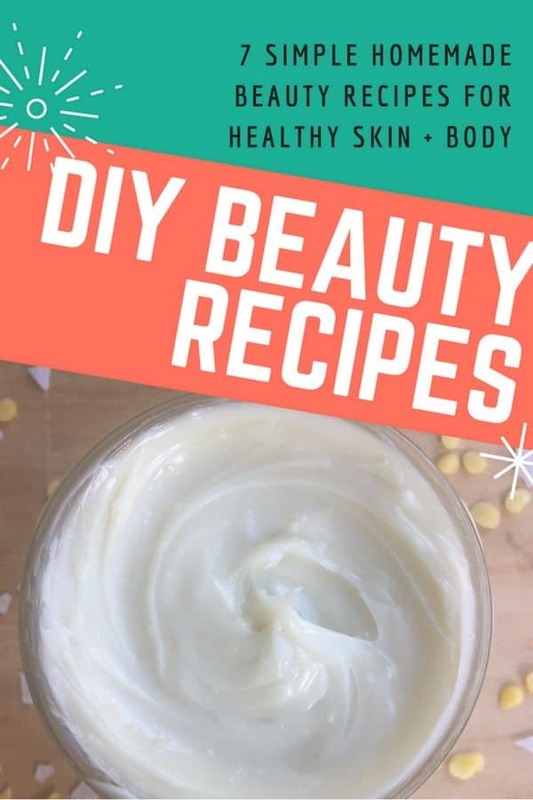 But when you think you’ve just GOT to have whatever it is you’re wanting – that you can’t live without it – you’ve stepped into the realm of self-reliance. These are surefire signs that we’ve stopped relying on Christ alone but on our own abilities. Because we can’t imagine not having what we’re praying for. How can we remedy this weakness that we so often face? Sometimes Satan lies to us and makes us think that if we really trusted God, we wouldn’t be dealing with said problem. This is a lie from Satan to discourage us and make us beat ourselves up. Problems are sometimes a result of our bad choices, but sometimes they’re not. Sometimes they’re a test of our faith – and we can pass the test! ⇒The remedy: Realize that all people of faith have experienced times of trials. This does not mean their faith was weak – in fact, the opposite is true. Remember, God said to Satan, “Have you considered my servant Job?” He saw Job as being worthy of experiencing a trial. Sometimes we get so wrapped up in what we are wanting, it fills all our thoughts and even our prayers! In a sense, this is true (we’ll look at this idea next). But there is a difference in giving your problems to God and trying to sort them out with His help, and worrying. As soon as you become confused, you have left off pondering and gone into excessive reasoning. I think this is a really good indicator of when we have stepped over the line into worry. ⇒ The remedy: Philippians 4 is really the key here. Pray about your problems, talk about them to God as much as you need. Confess that you are not able to figure this problem out. Then, go on and enjoy your life while you wait for an answer. Maybe your struggle is the polar opposite from all the other pitfalls we discussed. The other 4 are about trying to work, work, work to fix your problems. If you think trusting God means doing absolutely nothing to work toward a solution, this applies to you. Yes, God has 100% complete control on what happens in our lives. There is nothing we can do in our own power to fix our problems. BUT He has given us His spirit and His power – and the ability to do things! He has given us the mind of Christ and wisdom to discern right from wrong. We cannot think that just because we are relying on God, that means we don’t have to do our part. Nothing wrong with working on a issue – as long as we surrender it to the One in control. ⇒ The remedy: God gave you a strong body, a smart mind, and His spirit to guide you. You can do lots of things to work toward a solution for your situation. Pray and make a list of things that you can do today to start working through the problem. Just remember not to let this solution become your idol. Remember, if you’re struggling with trusting God – seek Him, rely on Him, and do your part. Aside from that, enjoy your life and pray anytime you are tempted to worry about your situation. God is working behind the scenes to make something beautiful out of your life for His glory. 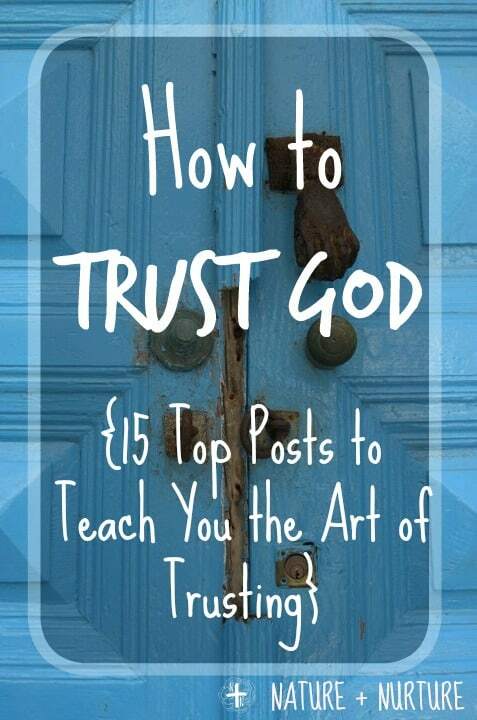 Do you have any other tips on trusting God? I’d love to hear in the comments! Love this! Letting go after doing what my part is brings a peace that has come with years of prayer and blind faith (at the time was for pure survival in the situation) lol. Praying for you and this incredible work. Amazing Post! This helped me a lot. I struggle daily with anxiety and my main problem is worrying about things I know is in God’s hands. Thank you! This is so unbelievably on point for me! Thank you for this post! So happy it helped you Jessica! Praise God.